The coming of spring is always an exciting time of year for the herbal enthusiast. Here in Southern California, most herbs that tend to bed down for the winter are still flourishing, if not a bit closer to earth, nourishing their roots for spring’s exuberant arrival. There is one herb, or rather a tree, that buds only this time of year no matter how cold the weather gets, and that’s cottonwood. Cottonwood, aka Poplar, is an amazing tree you may only glance at on occasion but deserves far more attention. For you see, the cottonwood gives us a multifaceted medicine that’s an incredible healer for countless skin ailments, sore muscles, restless sleep, and a whole lot of other good things. Apart from looking awkward sneaking around the neighborhood snagging gooey cottonwood buds, you can often find poplars near natural springs and canyons. My parents have quite a few poplar trees on their property (lucky them, and they don’t even know it) so it’s easy to call up my mother and ask her if the trees have started oozing. Besides that obvious indication of harvest time, cottonwoods will also give off a pleasant aroma that can only be described as “fresh and woodsy with vanilla undertones”. It’s sort of amazing and is reason enough to make The Balm of Gilead. Pretty neat right? The resin exuded from cottonwood buds is referred to as the Balm of Gilead because of its healing properties and pleasant resinous aroma. The remaining oil can be stored for up to a year if kept in a cool dark place. This recipe fills four 2oz salve containers plus two lip balm tubes (which are super handy to have in your pocket or purse). 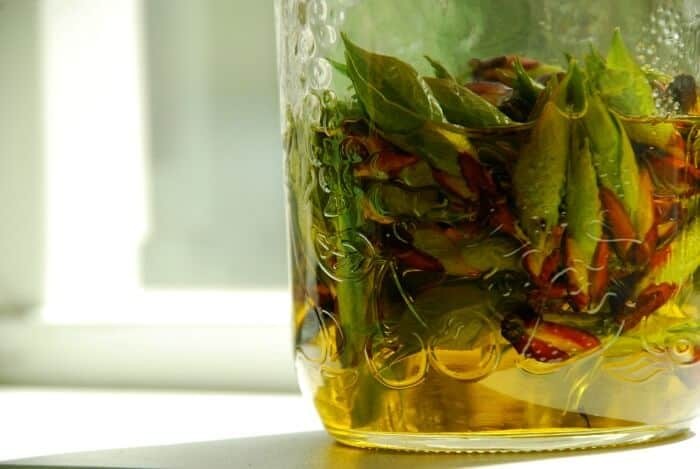 You can make this process go a whole lot faster if you need to by putting the fresh cottonwood buds into a double boiler with the olive oil. Just measure out 1 part cottonwood buds and two parts oil to get a good strength. Simmer this for 1 hour and strain. Personally, I prefer to make the Balm of Gilead using the folk method (waiting 4-6 weeks) before straining because it helps retain the wholesome healing goodness of the cottonwood resin. You may be wondering why you should be making this recipe, so let me fill you in! The Balm of Gilead has amazing anti-inflammatory, analgesic, and anti-rheumatic properties making it perfect for athletes or for those who lead active lifestyles. It relieves the pain associated with sore muscles, bruising, general aches and pains, and arthritis. In fact, if you make this simple salve with cayenne pepper added to it, it is REALLY amazing for all kinds of pain. You can also apply this balm to bites, stings, rashes, burns, cuts, scrapes, dry scaly skin, abrasions, chapped skin, diaper rash (make sure there is NO cayenne for this application obviously), as well as eczema, psoriasis, and minor wounds. Smelling its aroma is a fantastic mild sedative before bedtime. I use it this way by applying a small amount under my nose before opening a book to read at bedtime. It works so well and the smell is just wonderful for stress relief. Plus, it keeps your nose hydrated during the winter! I really hope you give this balm recipe a try! You won’t regret it 🙂 Also, in case you want a cottonwood tincture recipe, check out my post HERE. Where can I purchase these buds I’m not physically able to go pick them. I live in coastal Va.
Everyone here in AK hates cottonwood because of the snowy blowy mess it makes everywhere, so it gets cut down a lot. It also gets blamed for allergies even though the weatherman said it has almost no allergens; they come from other trees blooming the same time. A friend offered me to pick their tree but the snow hadn’t melted before the buds opened so there was no way for me to get them. Hoping for a better chance this year; I’m always on the lookout for the next pain salve. I infuse my oils in my crockpot (you know the little useless one that comes with the real one – holds a mason jar or a sauce jar) double boiler on Low; doesn’t get too hot but faster than doing in a cupboard. Hi, Tash, thanks for sharing a link to my blog with your recipe. I appreciate the love. Awesome article. I’m going to share your post on my Facebook page this weekend. You stated that cottonwood trees are actually the same as poplar trees , is that correct? I live in Eastern Canada, and poplar trees we have a plenty. 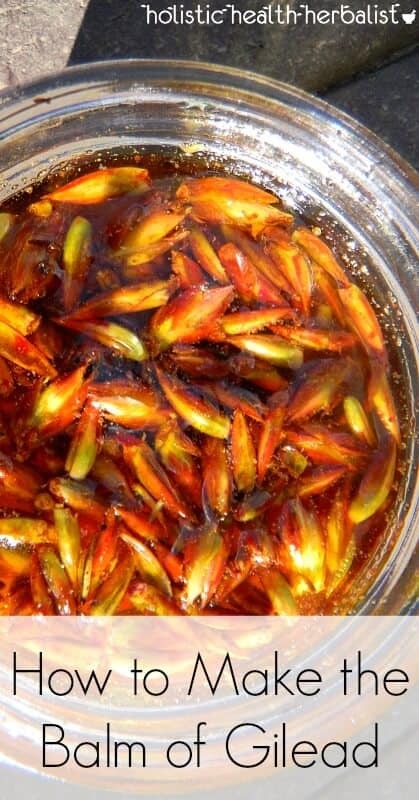 Could I make this balm with poplar buds? Come spring of course. We,re under 4 feet of snow at present . 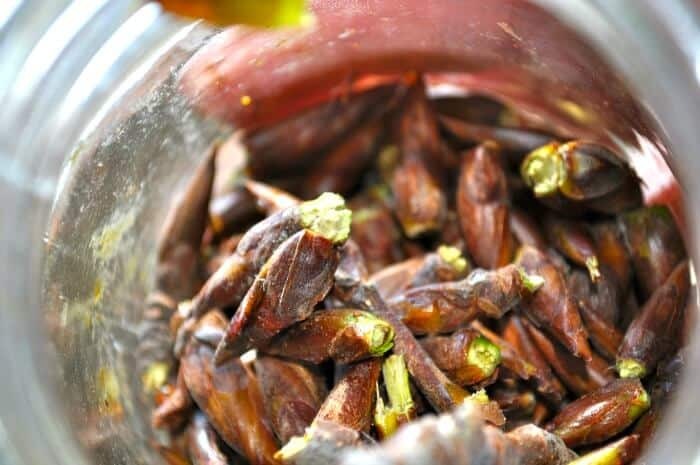 Yes, they are the same tree so yes you can make this balm with poplar buds 🙂 And goodness! That sounds like a lot of snow! Where would I find cottonwood bulbs?? I live in New York State.